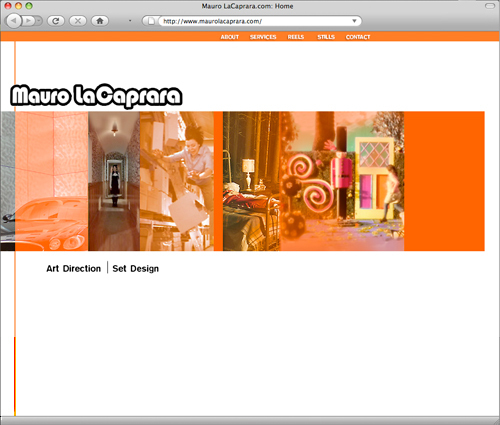 As an independent Set Design company in Toronto, film Production Designer/Director Mauro needed a brand new web site thatwould dramatically display a large set of his film "REELS". Jafla Graphics delivered a video gallery with a grid of video Reels at its hub. The video provided was edited and cleaned up in reformatting to high quality flash videos. Collateral: Print production - Stationary. Initial design concept: Employs a fun animation of the chair. 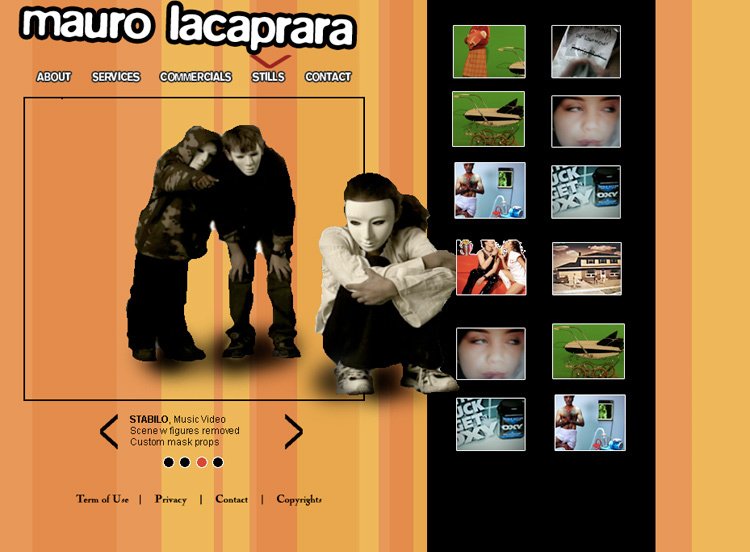 This was used for the final web site page. 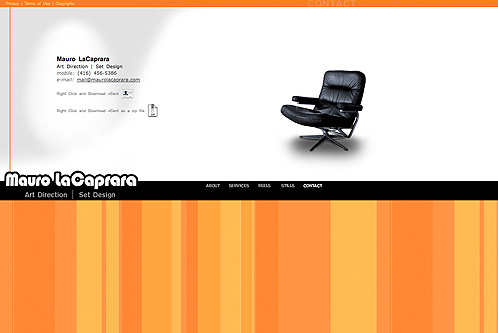 Initial design concept: IMAGE ARRAY for homepage Option 1. 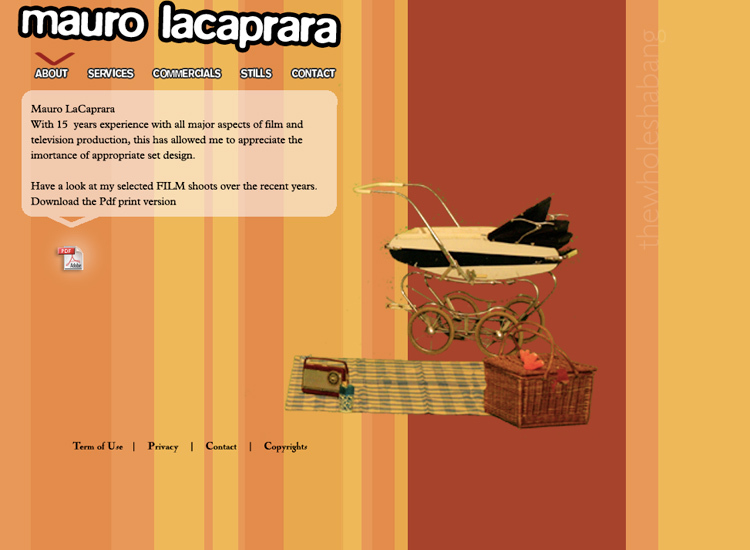 Initial design concept: IMAGE ARRAY for homepage Option 2.